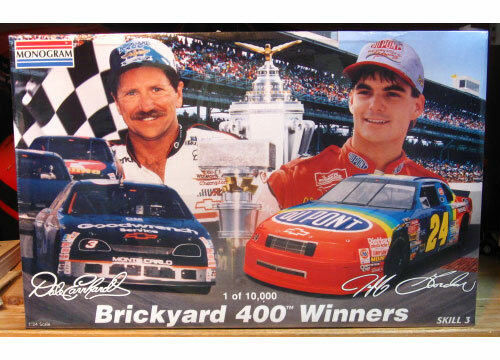 Monogram "Brickyard 400 Winners" Combo kit featuring the 1994 winner Jeff Gordon's #24 DuPont Lumina and the 1995 winner Dale Earnhardt's #3 Goodwrench Monte Carlo. Issued in 1996. Kit is Factory Sealed and in "Fresh out of the Case" condition.